Why Are People Giving Up The NBN For Mobile Broadband? The NBN was supposed to be faster. As a result, most of the Australians who switched to the NBN now prefer their old cable connection or mobile broadband. Everyone in Australia will need to switch to the NBN (National Broadband Network) by 2022. The NBN Co, the company responsible for building and operating the NBN, is fast rolling out the cables nationwide. The work is projected to be completed by 2020, reaching eight million premises. The NBN is an Australia-wide project aimed to provide residents with access to fast and reliable internet services. This Federal Government-funded project will replace older, ADSL2+ broadband technology with a new, high-speed connection in all homes and businesses. Given Australia’s large size and sparse population density, the NBN is the country’s largest infrastructure project worth AUD $49bn. The NBN Co has been working hard over the past year to install the network across Australia, introducing wholesale pricing bundle discounts, and upgrading the network performance as demand outstrips original forecasts. 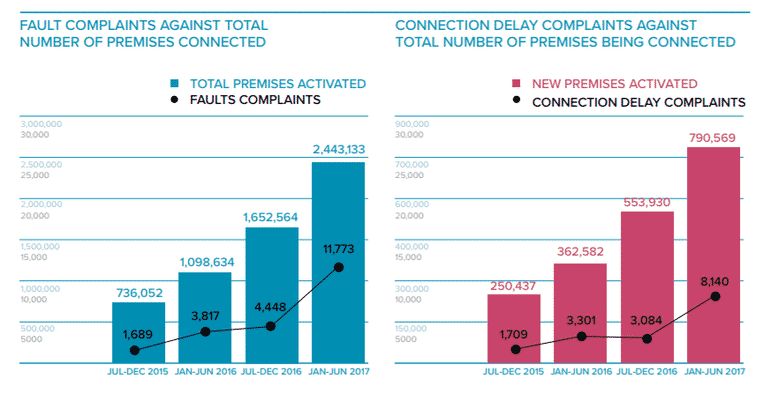 Despite all of the efforts going into the NBN rollout, Australians do not appear happy with the NBN technology and complaints against it are soaring. Many customers indicated that they would like to return to their old broadband internet connection, or move towards relying on their mobile broadband. 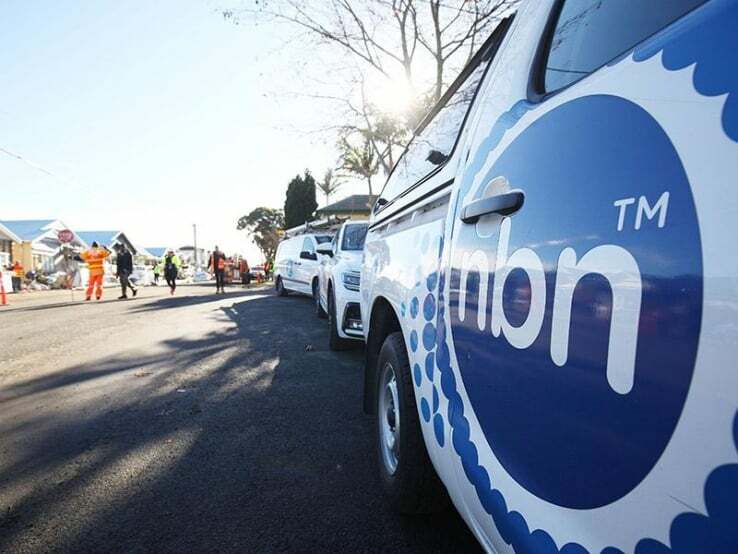 A recent survey of 958 NBN (National Broadband Network) users found that more than 34 per cent would switch back to their pre-NBN connections if they had the option or move to using a mobile broadband connection. Of the total participants, 22 per cent said their old connection was faster and more reliable, while 11 per cent of them said that their old service was cheaper, or better value overall. Currently, the NBN offers a maximum speed of 100 megabits per second, but only if you are either directly connected to the network or live within 400 m of a connected node. For those living further away, the speed can drop to 50Mbps or even 25 Mbps. Consumers could achieve broadband speeds of up to 24Mbps using the older ADSL2+ network. Some NBN users have reported that they are getting speeds of only 20Mbps, only slightly higher than 15Mbps that could be achieved by ADSL. The NBN retail service provider also affects the quality of the service. These service providers buy a limited supply to pass on to consumers, which eventually leads to frustration while buffering or service drop-outs occur during peak hours. Frustrated by slow internet speeds and loss of service, many customers switch to mobile broadband. Telstra is Australia’s leading telco and became the NBN’s biggest customer to provide households with fast broadband services, but the company is accused of charging too much for internet services. Telstra’s chief executive Andy Penn said they had to purchase that service from the NBN at a wholesale price more than double what it used to be. Penn reported the current average wholesale price charged by the NBN is $44 per month per customer, which is more than double the previous cost. Consumers were led to believe that by signing up with the NBN they could access high broadband speeds of between 12-25 megabits/second at the same price they were paying for a pre-NBN service. Now the whole picture has become evident, the cost doesn’t seem as reasonable as customers expected it to be. When compared to ADSL, ADSL2 and NBN connection types, mobile broadband has a higher throughput. Those who are disappointed with the NBN find mobile broadband to be a better solution, though it can be more expensive for very heavy data users. There is a possibility that more and more internet users will transfer from traditional hardwired ADSL and NBN network to mobile technology for even in-home usage as there is less barrier to installation issues. Also, the cost of streaming data in homes may come down in the near future as 5G, the next-generation, high-speed network, is expected to roll out by 2020. While the NBN may have an extremely expensive national undertaking, the cost is beginning to be too high, both for companies who on-sell the service and for customers who use it.